Banana is full of vitamins and minerals. check out the amazing effects of eating banana everyday for good health. Digestion: Banana has high amount of fiber. It improves digestion. It is also beneficial in constipation and acidity. Weakness: Banana gives instant energy. It is beneficial to remove weakness. 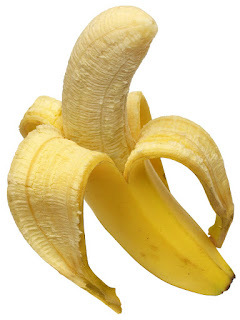 Anemia: Banana has enough amount of dietary fiber, which increases hemoglobin in the blood. It is beneficial in anemia. Healthy Heart: Banana has bountiful fiber, potassium, calcium, vitamin C and B6. The regular consumption of banana controls cholesterol. Memory: Banana has vitamin B6, which improves brain function and sharpens the memory. Blood Pressure: Banana has good amount of potassium. It balances the sodium and BP in the body. Urinary Infection: It has magnesium and potassium, which reduces the risk of urinary infection. Stress: Banana has tryptophan, which improves mood. It reduces stress. Immunity: Banana contains carotenoids, which increases immunity. It reduces the risk of cold-cough and infection. Anti-Ageing: Banana has vitamin C. It increase skin glow and reduces ageing. Bones: It has calcium, which strengthens the bones. Bone remains strong in ageing. Teeth: Banana has high amount of phosphorus. It reduces the risk of oral disease. Ulcer: Banana removes ulcer bacteria from stomach. It gives relief from stomach pain and ulcer. Diarrhea: Banana has potassium, which controls lose motion and vomiting. Cancer: Banana has enough amounts of anti-oxidants. It is beneficial to protect cancer.